It is easy to think of the Jagdpanzer IV as a progression in the series of tank destroyers developed by Germany in the Second World War. However, the Jagdpanzer IV organization, beyond the company level, was not typical of most Jagdpanzer units. 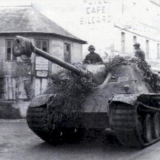 When we think of the typical tank destroyers, the Ferdinand, Jagdpanther, Jagdtiger and even panzerjägers like the Hornisse were all deployed in independent tank destroyer battalions. The Jagdpanzer IV, however, was never organized into independent tank destroyer battalions composed of only Jagdpanzer IV’s. They were mostly deployed as an organic component of panzer divisions, panzergrenadier divisions, and panzer brigades. 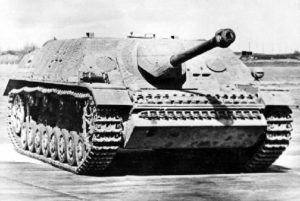 They were also included as an alternative in Jagdpanther battalions and, later in the war, were even added to Sturmgeschütz brigades. In the German Army’s never-ending quest for better tank destroyers, the Panzerkampfwagen IV was a natural choice for a chassis. Though the Sturmgeschütz IV used the same chassis and had similar capabilities as the Panzerkampfwagen IV, it was technically an assault gun and not a tank destroyer. The Jagdpanzer IV like the Jagdpanzer 38 sported more modern design technology with slopping armor and reduced height (except for the Alkett version). The Jagdpanzer IV began production in January of 1944. The initial gun was the 7,5 cm L/48 which was the same gun found on the Sturmgeschütz III and IV. 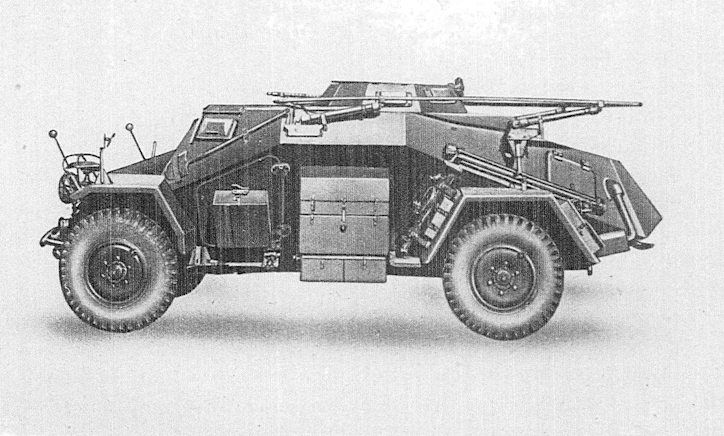 However, it was soon upgraded to the 7,5 cm L/70 found in the Panther. It was produced in 3 distinct versions. The initial version was the Jagdpanzer (L/48), The next model had the upgraded L/70 gun and was known as the Panzer IV/70 (V). The V stood for Vomag, the factory where they were built. The first vehicles were completed in August of 1944. An improvised version of the Panzer IV/70 was also built using completed Panzerkampfwagen IV chassis. The chassis were pulled out of the Panzerkampfwagen IV production line and modified to accommodate the Jagdpanzer IV superstructure. They were built at Alkett and were designated Panzer IV/70 (A). Adding the Jagdpanzer superstructure to the Panzerkampfwagen IV chassis increased the height from the Vomag version by .4 meters. It also provided a wide area of 90-degree armor for the enemy to shoot at. The Jagdpanzer IV’s were used in the Panzerjäger Abteilung of Panzer and Panzergrenadier Divisions. The Panzergrenadier Divisions had two companies of 14 Jagdpanzer IV’s each and three more in the headquarters section for a total of 31. The Panzer Division had 10 Jagdpanzer IV’s in each of the two companies and one in the headquarters section for a total of 21. The K.St.N. 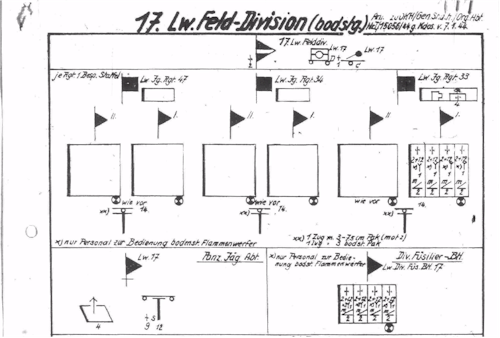 applied was 1149 v.1.2.1944 and later 1149 (fG) v.1.4.1944. The Jagdpanzer IV’s were also assigned to Panzer Brigade units using an unnumbered K.St.N. v.15.7.1944. It was very similar to 1149 (fG) though it authorized only 11 Jagdpanzer IV’s. I could not find an 1149 (fG) v.15.7.1944 in Tessin, however, I did find the v.15.7.44 K.St.N. used in the Panzer Brigades so apparently no number was assigned. 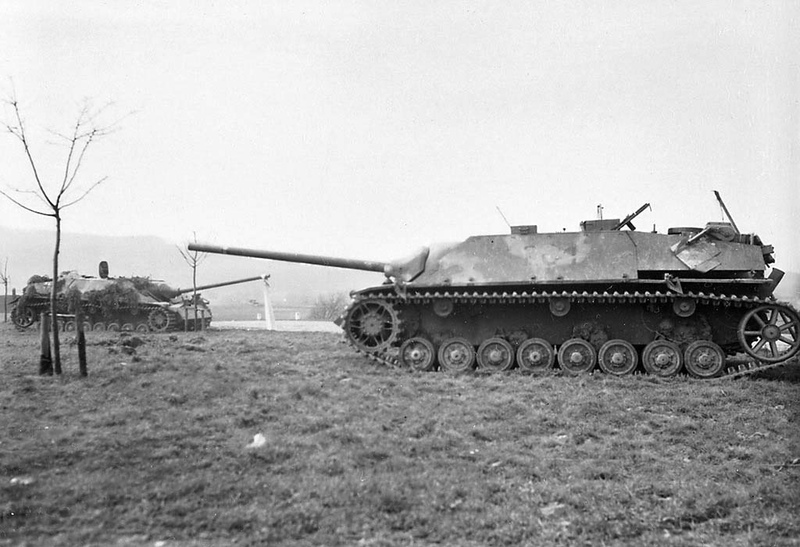 Jagdpanzer IV’s were also deployed with Jagdpanther Battalions. Due to the limited number of Jagdpanthers available the organization of a Jagdpanther Battalion had a “mixed” version were two of the three Jagdpanzer companies were Jagdpanzer IV’s. 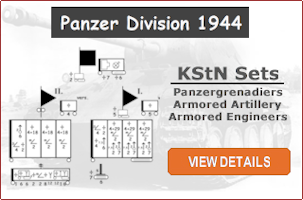 The Jagdpanzer IV’s were organized under K.St.N. 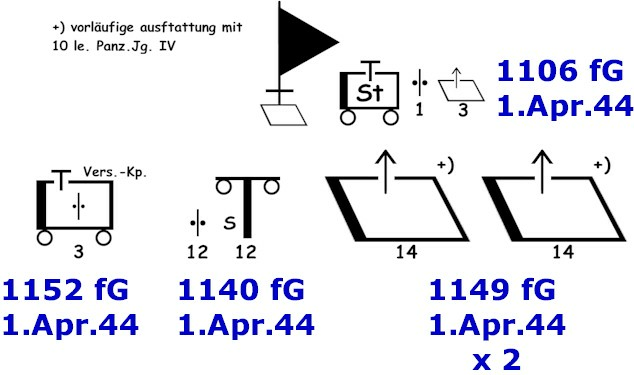 1149 (fG) v1.4.44. (You can find more information in this post: Jagdpanther Organization.) Due to late war shortages of tanks, the Jagdpanzer IV’s were sometimes issued as replacement vehicles in panzer battalions and Sturmgeschütz brigades. As you can see the Jagdpanzer IV’s were deployed with a wide variety of units. It seems that for the most part they were organized under K.St.N. 1149. The upgrade of the main gun from the 7,5 cm L/48 to the 7,5 cm L/70 made the Jagdpanzer IV’s a compelling alternative to the Sturmgeschütz, Jagdpanzer 38’s and Panzerkampfwagen IV’s with L/48’s. The PDF document below provides additional information for K.St.N. 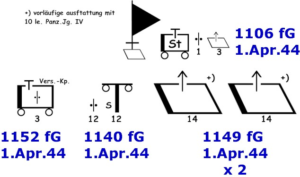 1149 v.1.2.1944. 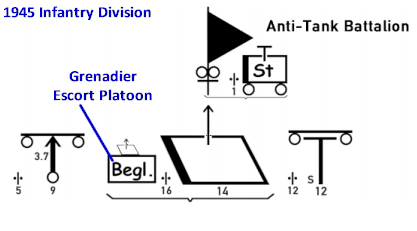 This includes a schema showing the vehicles assigned to each of the platoons. As well as total man power, vehicle and ammunition counts. Also provided below is the actual 1149 v1.2.1944 K.St.N. Verbände und Truppen der deutschen Wehrmacht und Waffen-SS – BD 15, Georg Tessin.